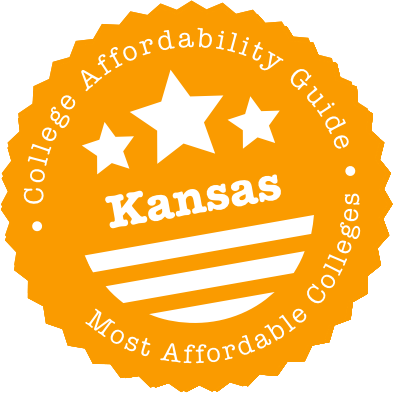 Scroll down to see our top-ranked colleges in Kansas, loans and scholarships for Kansas students, and advice on how to save money going to college in Kansas. One of the best ways to make college affordable is to be sure that students actually earn a degree after spending money on classes. North Central Kansas Tech excels in that area, and in 2017 it was named the third best two-year school in the U.S. for graduation rates, according to the Chronicle of Higher Education. Costs for NCK Tech may also be lower than getting comparable training elsewhere because most of its 25 programs can be completed in nine or 18 months. The college has programs in business, health, technology, and short-term career training. Students may be eligible for the Kansas Career Technical Workforce Grant, and adult learners can apply for the Hansen Career Enhancement Scholarship. Located in the northwest corner of Kansas, Colby Community College is a 105-acre campus that offers more than 60 academic and vocational programs. Forty-eight percent of beginning full-time students qualified for the Pell Grant for the academic year 2012-2013. The average grant amount was $3,865. Incoming freshmen may be considered for the following merit-based scholarships: Presidential Scholarship ($1,500/year), Leadership Scholarship ($1,000/year), Resident Assistant (full room and board), and the Resident Programming Assistant (50 percent of room and board). There are also academic scholarships based on a student's ACT Composite Score ($200 to $1,000). Students admitted to the Nursing, Dental Hygiene or Physical Therapy program can apply for the Dane G. Hansen Allied Health Scholarship, which covers full tuition, fees and books. Garden City Community College, founded in 1919, is one of the oldest community colleges in Kansas. The college offers need-based financial aid including federal Pell Grants (up to $5,730), Federal Supplemental Educational Opportunity Grants (up to $500) and federal work-study jobs. The college awards a large number of scholarships ($100 to $1,000) to students who meet specific criteria set by donors, such as the academic program the student is enrolled in, grade point average, and part of Kansas the student comes from. Students may also be eligible for financial aid offered by the state, such as the Kansas Career Technical Workforce Grant for students enrolled in some technical programs or associate of applied science degree programs. Emporia State University in Emporia, Kansas was founded as a teacher's college in 1863 and is the third oldest public university in Kansas. Emporia State provides financial aid to 96% of full-time beginning undergraduates, and institutional grants or scholarships are provided to 70% of these students. The Emporia State Scholarship Program provides merit-based scholarships to freshmen, with awards ranging from $1,000 to $3,600. The school also offers an educational grant program and tuition voucher program through the Walter S. & Evan C. Jones Foundation. Applicants must be residents of Kansas's Coffey, Lyon, or Osage counties to receive a grant that can be used to cover the cost of tuition and books or a $1,000 tuition voucher that is renewable for four-years. Kansas State University in Manhattan, Kansas is the oldest public higher education institution in Kansas and is also the state's land-grant institution. KSU provides financial aid to 83% of full-time beginning undergraduates and institutional grants or scholarships to 63% of these students. Incoming in-state freshmen are eligible for academic scholarships like the $9,000 Putnam Scholarship, the $4,750 Foundation Plus Scholarship and the $3,250 Foundation Scholarship. Out-of-state freshmen are eligible for academic scholarships like the $8,000 Purple and White Scholarship and $5,000 Denison Award. Incoming freshmen are also eligible for the Freshman Wildcat Grant, and continuing undergraduates are eligible for the Eisenhower Grant. A vocational school, Northwest Kansas Technical College tries to get students out of class and into jobs quickly. In fact, NKTC has the highest graduation rate in the state - 75 percent. And in 2017, it had the 18th-best graduation rate of all 889 two-year public colleges in the U.S. Over 90 percent of graduates get jobs or move onto another degree shortly after leaving NKTC. The school welcomes interest-free tuition payment plans, and incoming sophomores with a 4.0 GPA compete for four Presidential Scholarships, worth $1,000 to $5,000 each. It’s still possible to get a quality college education for cheap in Kansas. The state’s public and private universities and community colleges have generous financial aid programs for students, but there’s no need to restrict your search to an individual school. The state makes sure Kansas residents can get a higher degree by offering state financial aid in the form of scholarships, work-study opportunities and loan repayment programs. Military members and healthcare professionals in particular have plenty of options. And if you’re having trouble paying for all of life’s other expenses as you attend school, we’ve researched local services that can help you get by. Start by looking at the resources below, and get ready to make your college years in Kansas affordable. Kansas college students are able to transfer credits between institutions with ease, particularly courses earned in the first two years of a degree program. Kansas offers a transferable core of lower division courses, statewide common course numbering, and guaranteed transfer of associate degrees. The Kansas Board of Regents requires all public institutions to accept the transfer of general education courses from other public institutions within the state. These courses, which are listed in the Kansas Board of Regents approved list of courses, are guaranteed to transfer between all public postsecondary institutions in Kansas. Currently, there are more than 55 courses that will transfer as direct equivalents to all public postsecondary institutions. Students with an associate degree can take advantage of statewide guaranteed transfer of credits. By earning an associate degree, students complete the core credit requirements for a bachelor’s degree and enter a four-year college or university with junior standing. Even students who have not yet completed an associate degree benefit from credit transfers. Kansas offers system-wide reverse transfer. This policy enables students who transfer to four-year universities from a community college or technical college to earn certificates and degrees for coursework already completed. Students will be awarded credentials automatically or be informed of the credits needed to earn their reverse transfer degree. To learn more about the transfer of upper-level courses and other credits beyond the direct equivalent transferable core, visit the Kansas Board of Regents webpage on institutional transfers. If you’re from Kansas and staying there to attend college, your first stopping point for financial aid should be the Kansas Board of Regents website. From there, you can apply online for seven different scholarships and download application forms or tuition waivers for many other awards, including those listed below. You can also get information on the state’s work-study program for enrollees at public four-year colleges. College in the state can still be affordable even if you’re not from Kansas but instead hail from Illinois, Indiana, Iowa, Michigan, Minnesota, Missouri, Nebraska, North Dakota, Ohio, South Dakota or Wisconsin. The Midwest Student Exchange Program makes school cheap for Midwesterners by capping their public college tuition at 150% of the Kansas in-state rate. Attending a private school? You’ll still get a 10% discount off the sticker price. If college is a bit further down the road for you (or your child), Kansas has three different savings plans to get you there. Each of the 529s offered under the Kansas Postsecondary Education Savings Program comes with an annual $3,000 state tax deduction. Summary: The state uses this scholarship — worth up to $1,000 per year — to encourage students to pursue in-demand careers. The Kansas Board of Regents publishes an annual list of eligible certificate and associate degree programs, ranging from welding engineering technology to medical laboratory technician, at technical colleges, community colleges and public four-year colleges. Eligibility: Any Kansas resident who earned a high school diploma in the state and is subsequently admitted to a technical education program on the Kansas Board of Regents list is eligible. The Board of Regents does give priority to students with financial need, however. How to Apply: Submit the FAFSA by April 1st and the State of Kansas Student Aid Application by May 1st. You must also have the financial aid office at the college you’ll be attending send the Career Technical Workforce Grant Verification Form to the Kansas Board of Regents by May 1st. Summary: Full-time students with financial need can receive up to $3,500 from the state to attend one of Kansas’ private colleges or up to $1,500 to go to state or municipal universities. The grant is renewable. Eligibility: Students must be Kansas residents enrolled full time in an eligible Kansas school. How to Apply: Submit the FAFSA before April 1st to determine eligibility. Aid is divvied up to each institution, which determine the neediest students. Summary: Distributed according to a combination of financial need and academic ability, this scholarship provides students with up to five years of funding for an undergraduate education at a Kansas public college. The annual amount is worth as much as $1,850. Eligibility: Recipients must identify as African-American, American Indian, Alaskan native, Asian, Pacific Islander or Hispanic. They must be enrolled in at least 12 credits and have financial need as demonstrated on the FAFSA. They must then fulfill one of the following minimum requirements: earn an ACT score of 21, SAT score of 990 or high school GPA of 3.0; be selected by the National Merit Corporation or as a Hispanic Scholar by the College Board; rank in the top third of all state high school students; or complete the Kansas Scholars Curriculum. There are lower requirements to renew funding. How to Apply: Submit the FAFSA by April 1st and the State of Kansas Student Aid Application by May 1st. Have a high school administrator send in the Ethnic Minority Scholarship Information Form to the Kansas Board of Regents by May 1st. Summary: Nurses can get some of their MSN program paid for if they agree to teach nursing after graduation. Eligibility: Graduate students at Fort Hays State University, Pittsburg State University, University of Kansas Medical Center, Washburn University and Wichita State University are eligible. Each school provides different levels of funding. How to Apply: Applications are available at each of the five universities listed above, and deadlines vary by school. Summary: Students in Kansas LPN programs can get $2,500, and those in RN programs can get $3,500 for each year they agree to work in the state as an LPN or RN after graduation. Eligibility: Students must be taking 12 credits in one of the state’s RN or LPN programs. Financial need comes into play if there is limited funding. How to Apply: Get a medical facility in the state to sponsor you, which means they agree to hire you after graduation. Then, submit the FAFSA by April 1st and the State of Kansas Student Aid Application by May 1st along with a signed sponsor agreement. Summary: Like dentistry, optometry is an in-demand field without any programs in Kansas. Kansas residents who study it at one of three out-of-state graduate schools can pay reduced tuition. Each year of tuition assistance they receive must be “repaid” with one year of work as an optometrist in Kansas. Eligibility: Kansan graduate students studying optometry at the University of Missouri, St. Louis, Southern College of Optometry (Tennessee) or Northeastern State University (Oklahoma) can apply, but each school has its own eligibility standards. Those renewing scholarships take priority over new students. How to Apply: File a residency application with the Kansas Board of Regents by May 1st, and let your university know you intend to apply for the scholarship. Summary: Prospective osteopaths can get $25,000 annually for up to four years of osteopathic school, provided they agree to practice as primary care physicians in rural Kansas for as many years. Eligibility: Though students must be Kansas residents to apply, they may enter any accredited osteopathic school in the country. Financial need is a factor. How to Apply: Submit the FAFSA by April 1st. Then send the following to the Board of Regents by May 1st: a scholarship application, a statement of purpose explaining your commitment to working with underserved populations in the state, a signed Student Aid Report you receive after submitting the FAFSA, and a copy of your most recent income tax return. Summary: Students who performed near the top of their class in high school and who have financial need can get up to $1,000 per year to attend college. Eligibility: Incoming and returning undergraduate students who complete the state curriculum and receive the designation of Kansas State Scholar during their senior year are eligible, depending on their financial need. How to Apply: Submit the FAFSA by April 1st and the State of Kansas Student Aid Application by May 1st. Reapply each year. Summary: For each year they receive this scholarship, students commit to teach one year in an underserved area of Kansas or in a “hard-to-fill discipline.” Full-time students can access over $5,500 per year in funding, and part-time students can receive a smaller percentage of this amount. Eligibility: Kansas residents working toward a bachelor’s degree at a Kansas school that leads to a teacher’s license are eligible for this merit-based scholarship. Licensed teachers are also eligible if they are taking master’s degrees or earning endorsements in hard-to-fill disciplines or working in underserved areas. How to Apply: Submit the FAFSA by April 1st and the State of Kansas Student Aid Application by May 1st, along with college transcripts, a letter of recommendation, a personal statement, and (if applicable) a copy of your teaching certificate. To renew, you must only submit FAFSA and the student aid application. Summary: The state encourages Kansas residents to take advantage of its only university program in medicine by paying four years of tuition and a monthly living stipend for doctoral candidates who agree to practice in the state after graduation. Each year of service counts toward a year of receiving financial support. Graduates can also apply for the award retroactively. Eligibility: University of Kansas Medical Center students are all eligible, but rural Kansas residents with financial need take priority. How to Apply: Submit the FAFSA and the State of Kansas Student Aid Application. Recipients do not need to reapply each year. Summary: Physicians and dentists can get $50,000 to $95,000 of their student loans paid, and other healthcare workers with graduate and doctoral degrees can get $40,000 to $70,000 of their loans paid by working two to five years in an area of the state with relatively few healthcare workers. How to Apply: Fill out two forms — one for you, the healthcare provider, and another for the practice site. You will also have to provide several documents, including proof of citizenship and licensure, loan statements, a job description, and fee schedules to the Office of Primary Care & Rural Health. Summary: Kansas designates some counties as “rural opportunity zones” to encourage people from outside Kansas to spread out across the state. The state will pay 20% (up to $15,000 over five years) of outstanding student loans to people who move to such a zone. Eligibility: People with at least an associate degree and a student loan balance who have resided outside the state for the last five years can get their loans repaid, assuming less than $10,000 of their income in those years came from Kansas sources. Funding is limited, and some counties have more open spots than others. How to Apply: Fill out an application online and wait for instructions on confirming residency. Summary: Children and partners of Kansas military members who died in the line of duty do not typically have to pay tuition or fees at public colleges in the state once they are admitted. Eligibility: Children of Kansas residents killed since September 11, 2001, while serving in the military can apply, as can spouses who have not remarried. They must attend public colleges. How to Apply: Submit a notarized waiver application to the school you have enrolled in. Summary: Honorably discharged veterans who received hostile fire pay can receive direct payments toward their undergraduate tuition and fees at Kansas public colleges. Eligibility: Kansan active duty personnel who served overseas since September 11, 2001, and were fired upon are eligible. How to Apply: Submit the FAFSA by April 1st and the State of Kansas Student Aid Application by May 1st, along with a DD-214 form. Priority is given to students with financial need, but the scholarship is distributed on a rolling basis, so apply early. Summary: Enrollees at Kansas public colleges can get extra help with tuition and fees if they are enlisted in the Kansas National Guard. It does require adding three months of service to their current obligation for each semester they receive aid. Eligibility: Students must be noncommissioned officers with fewer than 20 years in the National Guard. They must have a high school diploma from Kansas but cannot have a bachelor’s degree. How to Apply: Fill out an application online and get your commander to sign a separate form verifying your application status. Summary: ROTC students who agree to serve as commissioned officers in the Kansas Army National Guard for four years can receive scholarships from Kansas public universities and community colleges with ROTC programs. Eligibility: Kansas residents who are ROTC members at a participating school can apply. How to Apply: Apply directly with the school, which has its own procedures. Summary: Like the dependents of deceased military personnel, former prisoners of war who are Kansas residents are usually exempt from tuition and fees at Kansas public colleges. Eligibility: Soldiers who were Kansas residents when they entered active service and were subsequently declared prisoners of war after 1960 can apply. How to Apply: Submit a notarized waiver application to the school you have enrolled in along with verification of your POW status. Contact the Kansas Commission on Veterans Affairs Office for more info. Summary: Law enforcement officers, firefighters and emergency medical service (EMS) attendants who die while doing their job can leave behind bills and family. This program waives family members’ undergraduate tuition and fees for up to five academic years. How to Apply: Fill out a brief form and have it notarized before returning it to the Kansas Board of Regents. Dependents and spouses of EMS attendants must include a copy of the deceased’s Emergency Medical Services Board certification. Summary: The Kansas Department for Children and Families (DCF) waives tuition and fees for former foster children in the state to attend public college as undergraduates until the age of 23. Eligibility: There’s a bit of fine print, as eligibility depends upon foster children’s age when they were released from DCF custody, when they earned a high school diploma, and their adoption status. Those who are eligible must make satisfactory academic progress toward a degree to continue receiving free tuition. How to Apply: Submit a simple application to the school you have enrolled in. The financial aid department will make sure it is processed by DCF. College isn’t cheap in the best of circumstances, but there are state resources to help you make it affordable. The first place to look is Benefits.gov, which details social services in the state such as KanCare to get health coverage for uninsured children, the Kansas Low Income Energy Assistance Program (LIEAP) to get utility bill subsidies, and the Kansas Food Assistance & Nutrition Program (SNAP) to buy groceries. One of the sites Benefits.gov may redirect you to is the Kansas Department for Children and Families. Its Economic and Employment Services program facilitates child care subsidies for low-income families with a parent pursuing an education. It also runs other federal programs such as SNAP and LIEAP. Students looking for healthcare assistance for themselves or their children should visit the Kansas Department of Health and Environment. There, they can read up on KanCare, which encompasses the federal Medicaid and CHIP programs for the uninsured. Need some additional context or advice? Kansas Legal Services, a nonprofit law firm, publishes a great section on public benefits, covering the details of food stamps, veterans benefits, disability assistance and other state and federal services. Kansas campuses coordinate housing in a few ways. Most four-year colleges, including Pittsburg State, require freshmen to live on campus unless they have family nearby. Some schools, such as Fort Hays State University, allow students to live on campus all four years, and once students have a room they like, they can keep it until graduation (and watch all the movies they can with the schools’ online movie streaming service for residents). Just like four-year colleges, most Kansas community colleges also have on-campus housing and some, like Barton, require full-time students to live on campus unless they are 21, have a family or live with their parents. Hutchinson Community College, to name one example, has traditional residence halls, four-person suites and four-person self-contained apartments. Labette Community College has a on-campus housing development called Cardinal Villas. Wichita Area Technical College has no student housing. CalcXML and MappingYourFuture.org both have calculators that can help you estimate the cost of living on campus, off campus and at home. To plug in some of those numbers, especially rent, consult the Kansas Department of Commerce’s list of local chambers of commerce and economic development councils. Most chambers keep tabs on the Cost of Living Index, which compares local grocery, housing, utility, transportation, healthcare and other costs with national averages. Kansas schools do not generally offer much off-campus housing support beyond listing a few realtors or rental aggregators on their website. To find housing, then, most off-campus students may end up navigating well-maintained apartment-hunting sites like CampusRent.com or less-specialized websites like ApartmentGuide.com or MyApartmentMap.com. One exception is Kansas State University, which has an Office of Off-Campus Housing Support to help students review leases, negotiate security deposits and follow up on maintenance requests. If you are on a strict budget and worried about your ability to afford off-campus housing, look on the Kansas Housing Resources Corporation website to see if you qualify for its tenant-based rental assistance program, which reduces monthly payments and security deposits. Meanwhile, if you’ve slipped into danger of not having housing at all, you can find a temporary place at HomelessShelterDirectory.org. One benefit of living on campus is that utilities are included with the rent. No such luck off campus, where you’ll find yourself paying electricity, gas, water, trash, internet and television bills on your own. Just as importantly, you’ll have to set up the services, which often requires paying a deposit. Ask your landlord for utility providers in the area and call these companies to find billing histories for the property. That will give you an idea of what you’ll be paying. To make the month-to-month payments easier, utility companies like Kansas City Power and Light will work with customers to make special payment arrangements, and via its Cold Weather Program it will prevent service shutoff during high-usage winter months even if you cannot afford to pay on time. Kansas Gas Service also works with customers to make financial arrangements in addition to providing direct assistance to users facing emergencies through its Share the Warmth program. Midwest Energy and ATMOS Energy have similar programs, both of which are administered through the Salvation Army of Kansas and Western Missouri, which runs yet another utility relief program of its own for all other customers. Two state programs are worth noting for those who qualify: the Weatherization Assistance Program, which can weatherize a home for free so consumers can save money on utilities, and the Kansas Low Income Energy Assistance Program, which will make a one-time utility payment for families living just above the poverty line. The biggest university in the state, the University of Kansas, has its own medical center, but it isn’t likely to benefit students at KU’s main Lawrence campus — the University of Kansas Medical Center is in Kansas City. It is standard, however, for campuses to have a health center on campus that at least offers family planning and counseling but may have many other services. Pittsburg State’s health center, for instance, can run lab tests and fill pharmacy prescriptions on-site. Students can also get care off campus, which may or may not be cheaper. To find a local clinic, a great resource is the Kansas Association for the Medically Underserved (KAMU), which is made up of clinics in 42 counties, both public and private, that provide healthcare regardless of patients’ ability to pay. Clinics vary in the services they offer, but some do all of the following: primary and specialty medicine, mental health, substance abuse, OB/GYN, pharmacy, preventive, vision and dental. For a more extensive list of mental health providers than those on KAMU’s list, the state publishes the comprehensive Directory of Mental Health Resources in Kansas, although it is not exclusively comprised of low-cost providers. And if you need your teeth cleaned, don’t look to dental students for cheap oral care: There are no dentistry programs in the state (hence the need for the Kansas Dental Education Opportunities Program). Instead, browse through the KAMU directory for affordable dental services. Kansas State University has a fair share of students with children, which is why it runs the Hoeflin Stone House Early Childhood Education Center, a teaching lab where aspiring educators can practice working with children and student-parents can pay for on-site day care and preschool programs. Such centers aren’t only at four-year schools: community colleges such as Hutchinson, Barton and Cloud County all have similar arrangements. If there is no child care on campus — or if it’s too expensive — don’t worry. Go to Child Care Aware of Kansas to search for a day care or preschool program near you that fits your budget. Keep in mind that you may qualify for the Child Care Subsidy Program, which can be applied toward tuition at a child care center or toward paying a relative to watch your child. In Kansas, both smaller colleges like Johnson County Community College and bigger schools like Kansas State rely on existing public transportation networks to serve their campuses, rather than operating their own bus systems. True, Fort Hays State does have a free shuttle, Tiger Transport, to take students to town, but it only operates three afternoons a week. Still, regardless of the transportation system available, students can typically get around town and campus for very little money. Washburn University students, for example, ride free on all Topeka Metro Transit buses. But if you want the flexibility of not waiting for the bus every time you have to go to Walmart, you may need to budget for a car, insurance and a campus parking pass. If you live on campus, you most likely have a school meal plan. But if you don’t — or if you’ve run out of money on your plan and don’t know how you’re going to afford food for the rest of the semester — you have options. One good one is an on-campus food pantry. Emporia State has Corky’s Cupboard, which is open twice a week, and Pittsburg State has the Gorilla Assistance Food Pantry, where students can get three days’ worth of food with each visit. There’s much less in the way of food assistance at Kansas’ community colleges, so if you don’t have a food pantry on campus, search the Kansas Food Bank for one nearby. And if you need help tonight, you can always find a place on HomelessShelterDirectory.org. If it’s not just you that you’re looking out for, but a baby, then see if you’re eligible for the Kansas WIC Program. Wichita State University and Wichita Area Technical College are both, unsurprisingly, located in Wichita, and Butler Community College is a little over half an hour outside of town. For being an urban area, Wichita is quite affordable, especially when it comes to rents. According to Sperling’s Best Places cost of living index, nearly everything is cheaper in Wichita, including food, healthcare and utilities. The one exception is child care. To counteract this, Wichita State students can get discounts on child care tuition at the school’s Child Development Center. Center of Hope is where people go if they are facing eviction or a utility shutoff, as it can arrange for emergency financial assistance. Once things have settled down, it may provide a case manager to connect them to nearby social services and help them stay on track by providing budget counseling. Community Food Ministry serves families living below 130% of the poverty level. Five days a week, people can go there to get boxes of canned foods, meat, bread and other groceries. Consumer Credit Counseling Service, Inc. offers free one-on-one counseling and group workshops on credit counseling and debt management for anyone who needs help getting their finances sorted out. The Greater Wichita YMCA has early learning centers across the city where parents can enroll their children in day care. It does not turn away parents who cannot pay. These are just a few of the programs available. More can be found at the Wichita Department of Housing and Community Services. Kansas City is in the middle of the country both geographically and in terms of cost of living. To keep transportation costs low, students can use Kansas City Regional Transit, which serves both sides of the Kansas-Missouri border and extends down to Overland Park, where Johnson County Community College is based. For the latter, residents have good options, with the University of Kansas Medical Center based in town. Cross-Lines Community Outreach does a little bit of everything. Its Housing Stability Program gives immediate financial support to people in danger of having their power cut off or, worse, being kicked out of their homes. Other initiatives include giving diaper supplies to parents of newborns and toddlers and linking people to the city’s Medicine Cabinet Program for emergency prescriptions. Economic Opportunity Foundation, Inc. gives money to families who are about to come up short on rental and utility payments. EOF not only helps them get through a financial emergency but also has long-term housing services for those who are looking for an affordable place or cannot make their current payments. Harvest America Corporation has three programs of interest to college students with bills to pay: tenant-based rental assistance, which directly subsidizes rent and deposits; a food pantry; and a financial literacy course that includes lessons on budgeting, navigating emergencies and paying for college. Riverview Health Services wants to make healthcare affordable for local residents. People can go there to get help paying for necessary medications and get referrals to low-cost clinics with medical and dental care. Don’t stop with this list. You can reach out to the Kansas City, Kansas, Human Services Department to find similar programs. Topeka is home to Washburn University, whose students can take advantage of the area’s low overall cost of living. The biggest savings often come in housing. Like the rest of the state, though, child care is more expensive in Topeka than nationally, so Washburn attendees with kids might want to look at the rates at University Child Development, a child care center that gives student discounts. Antioch Family Life Center runs a food bank. And its low-cost summer program for children, which includes breakfast and lunch, is perfect for student-parents who need to work extra hours in June and July to come up with tuition. Community Action, Inc. provides low-cost car seats to children eligible for Medicaid, runs Head Start and Early Head Start programs, and manages its own below-market-price rental housing. Doorstep, Inc. is a coalition of church groups that gives direct financial assistance to those who need short-term help. People who are in a rough patch can get a week’s worth of food every two months, their rent and utility paid once a year and even their transportation paid three times a year. Topeka Community Cycle Project is quirky but perfect for a student with a limited transportation budget. By volunteering a few hours, people can earn a bike. The project will then teach them how to fix it up in its shop so they can ride it around school. To find more nonprofits lending a helping hand, visit the directory of partners that work with the United Way of Greater Topeka.